Profile of Silvio Berlusconi Jump to media player Silvio Berlusconi has resigned as Italy's prime minister, having dominated political life in the country for 17 years - but his career has been marred by scandals in recent years. Berlusconi resigns: Presidential statement Jump to media player The presidential palace issues a statement as it announces it has accepted the resignation of Silvio Berlusconi. Italian austerity law approved Jump to media player Italian MPs have approved a package of tough austerity measures to tackle the country's growing debt crisis, as demanded by the EU. 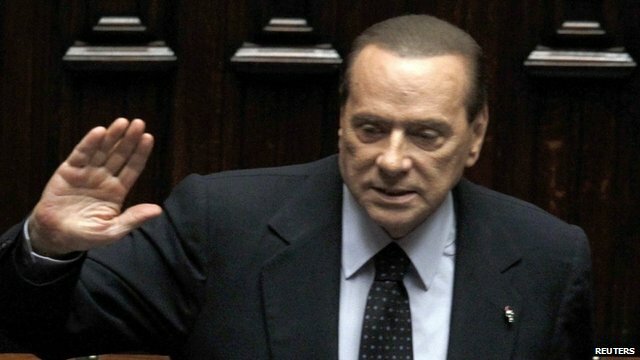 Silvio Berlusconi has resigned as Italian prime minister. Mr Berlusconi is Italy's longest-serving post-WWII prime minister, having dominated political life in the country for 17 years - but his career has been marred by scandals in recent years.